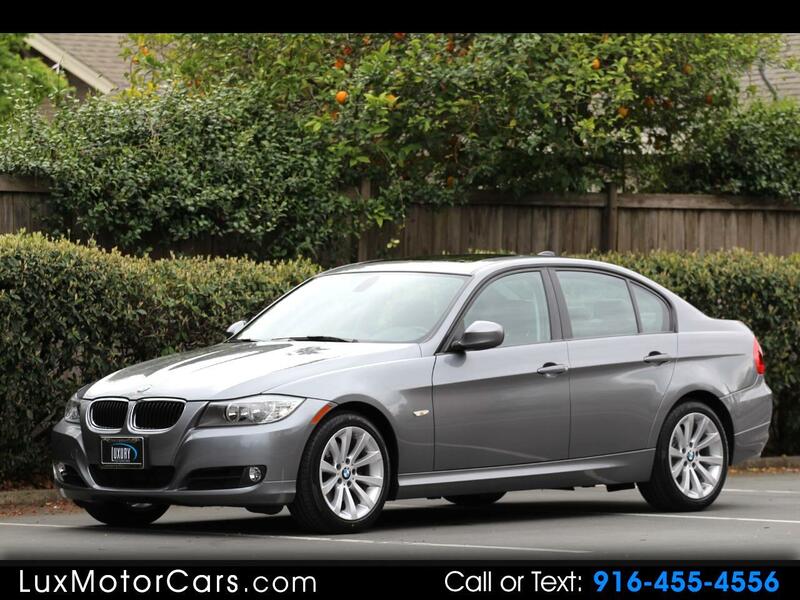 This well equipped, one (Northern California) owner 328i comes to Luxury Motorcars with only 34,000 miles from new. The CARFAX reports that the vehicle was maintained on a regular basis, and it shows with how well this car presents. The BMW build sheet shows that this car was originally equipped from the factory with: Premium package, Heated Front Seats, Rain Sensor and Auto headlights, Dynamic Cruise Control, Hi-Fi Sound System, Value package, Steptronic Automatic Transmission, Dark Burl Walnut Interior trim, Automatic Climate Control, Ambient Interior Lighting, Navigation System,Voice Command, Satellite Radio Preparation, BMW Teleservice, Real time Traffic Information, Daytime Running Lights, and Run Flat Tires. Since it's arrival at Luxury Motorcars, the vehicle has been through a complete Safety Check at the local BMW dealership where any and all recalls were addressed and completed. The vehicle has been smogged and is sitting on a brand new set of run flat tires. Do not miss this opportunity to own such a well maintained, one owner car. Visit Luxury Motorcars online at www.luxmotorcars.com to see more pictures of this vehicle. You can also TEXT us or Call us at 916-455-4556 today to schedule your test drive. * All features and options listed are descriptive of what can be expected on the vehicle. Actual options should be verified by the customer and dealer. Price may exclude tax, title, tags, government fees, any emissions testing charges, and any finance charges (if applicable). Unless otherwise stated separately in the vehicle details, price does not include processing, administrative, closing or similar fees. Please contact this dealer to confirm that this vehicle is still available. Current mileage may vary due to test drives and vehicle relocation.